Balkan Holidays – New offers from the best touring site to East and Southeast Europe. 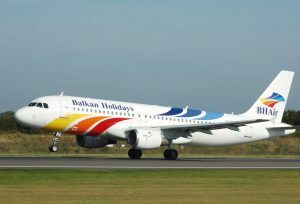 Balkan Holidays is one of the most popular touring site in UK. This amazing service of sending UK citizens in Bulgaria, Croatia, Slovenia, Serbia, Romania and so on via great value holidays earn Balkan Holidays many rewards and positive reviews. They has way more than a few years in experience, they have more than 52 years in experience in giving their clients not only amazing summer holiday offer, but also amazing winter holidays, which is now very “hot”. If you login you will find great offers for winter holidays in Bulgaria, most common destinations are Bansko, Borovets and Pamorovo. Bansko is crowned by tripadvisor the best value winter holiday destination in Europe, Pamporovo is the most sunniest ski resort in Europe, all this combine with an amazing offer, guarantees you happy experience and a lot of nice memories. These destinations are very, very, family friendly and you will find a lot of discounts for these packages. Just browse and book online from their very nice website (probably the best we’ve seen so far) or you can call them and book that way. If you are worrying about protection of you private data, check Balkan Holidays terms and conditions. You will find that they are long member of both ATOL and ABTA – that will be for your own financial protection and your peace of mind. So no matter what you will choose – Croatia, Romania or Bulgaria for you winter holidays, be sure to check this leading operator, we think that you will find something useful there… You can grab extra discount if you book earlier and you book in by group – as a package. The average ski school for like 5-6 days is an average like 110€ so you can see all the offers and choose those with included ski school for you and your kids. Thanks for reading, comment – what is your favorite touring site? Pamporovo – Bulgaria the hidden gem in winter holidays. 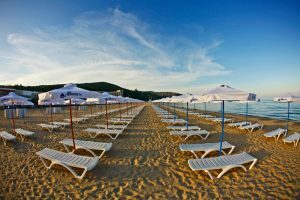 Vacation in September in Sunny Beach – see this!